A comprehensive survey of the countries and territories of this region, incorporating the latest economic and socio-political developments. New and revised essays by acknowledged experts in the region cover a variety of topical issues. In addition, appendices discuss the religions of the region and the Russian Baltic territory of Kaliningrad. - and a select bibliography. Biographical details for more than 200 of the region's leading political figures. Contact information and extensive details of the activities of regional and international organizations active in the region; a list of research institutes that focus on the region, together with contact details; and select bibliographies of both books and periodicals. Part 1: General Survey Essays by experts on the region Part 2: Country Surveys Sections on geography, history, chronology and economy, as well as statistical surveys, directories and bibliographies for each country. 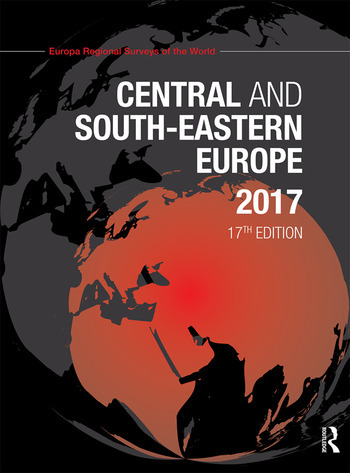 Part 3: Who's Who of Central and South-Eastern Europa Part 4: Regional Information Regional Organizations. Research Institutes. Select Bibliography (Books). Select Bibliography (Peridodicals). Index of Regional Organizations.